A practical and stylish shower rail thats ideal in both domestic and commercial settings which aid elderly and less abled people to have independence around the bathroom or shower room setting. 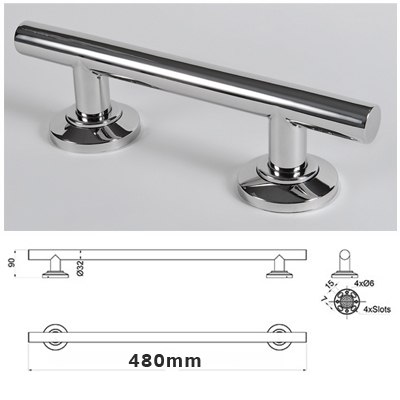 Our chrome rails are popular sellers and are made of a high quality polished steel. Suitable for contemporary and traditional bathrooms. Also ideal for hospitals, public facilities and nursing home settings.